At $399, the SMART RUN is a bit pricey considering that a smartphone with the RunKeeper app can do much the same thing when paired with a heart-rate monitor (like the $199 Mio Alpha). But if you’re serious about running and don’t want a bulky phone on you at all times, this running watch may be a luxury that's worth the price. 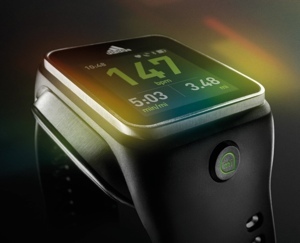 The Adidas miCoach SMART RUN will be available starting November 1 at adidas.com. To learn more about the miCoach service, visit micoach.com.